Performance Space 122 approached a selected group of students in the SVA Masters in Branding Honors Program to create a new new visual identity. PS122 has been a staple in New York City’s art and performance scene in the East Village since 1979. Performance Space 122 became a home for those who pushed the boundaries of society to share their art and make their voices heard. After the building had been closed for renovation, PS122 was returning back to their original home. In a neighborhood that has been a changing landscape of restaurants made for brunches, the identity of PS122 had been lost along with the grit and rawness of the East Village. They needed to be reintroduced to their neighborhood, New York City and beyond. 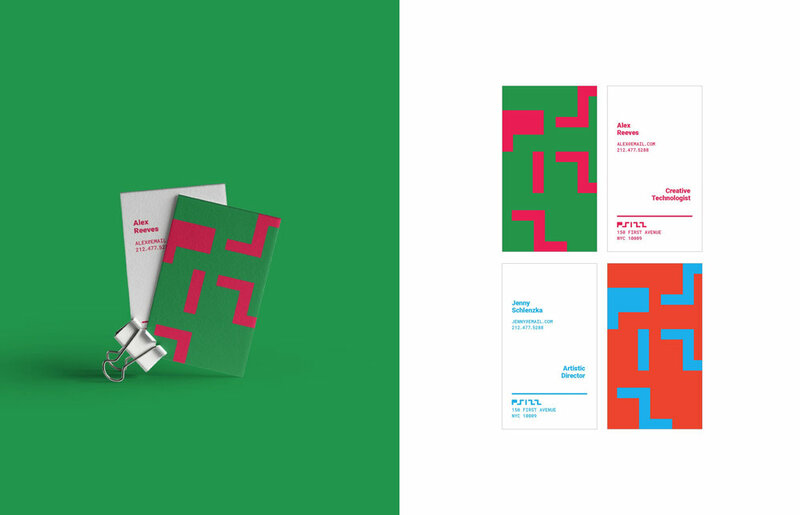 Performance Space 122 approached a selected group of students in the SVA Masters in Branding Honors Program to create a new visual identity and positioning. PS122 has been a staple in New York City’s art and performance scene in the East Village since 1979. It became a home for those who pushed the boundaries of society to share their art and make their voices heard. After the building had been closed for renovation, PS122 was returning back to their original home. In a neighborhood that has been a changing landscape of restaurants made for brunches, the identity of PS122 had been lost along with the grit and rawness of the East Village. They wanted to be reintroduced to their neighborhood, to New York City and beyond. With this new identity it was important for PS122 to maintain who they have always been--audacious in challenging what is acceptable. This visual identity became the jolt that transforms and marks new beginnings. The color combinations that were provided created a tension and exemplifies PS122’s attitude. This visual identity continues to allow PS122 to ignite an openness and house the energy from within.